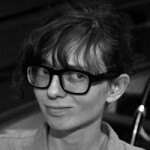 D&S artist-in-residence Ingrid Burrington wrote a detailed analysis on ‘Who Controls the Internet” and weighs concerns from different stakeholders. To be clear: ICANN has about as much control over the internet as Ted Cruz has a grasp on how DNS actually works–which is to say, very little. But the perpetuation of the fiction that ICANN controls the internet is representative of the completely understandable human impulse to try and assign control of the internet to someone or something, particularly in a time where the systems that shape most users’ experience of the internet are increasingly opaque and unaccountable to users.